According to the latest Gallup Poll on employee engagement “The percentage of ‘engaged’ workers in the U.S. — those who are involved in, enthusiastic about and committed to their work and workplace — is now 34%, tying its highest level since Gallup began reporting the national figure in 2000.” Although this is good news — or at least, better news — the number of disengaged employees is still far too high. The same poll places the percentage of “actively disengaged” workers (people with miserable work experiences) at 13%, leaving the majority at 53% “not engaged.” These workers don’t feel connected emotionally or cognitively and will be out the door at the first job opportunity that’s even marginally better. Fifty-three percent. It boggles the mind. How are companies doing so many things so wrong that the majority of workers would rather do the minimum and punch a time clock than actively bring themselves to work alive, awake and ambitious for achieving greatness? It’s incumbent upon leadership and management to actively confront the problem to get these numbers under control and re-engage their employees. In its survey, Rapt Media found that 57% of employees “feel their leaders are detached from the workforce.” If managers spend most of their time in meetings or locked away in their offices, how will employees ever know if they understand or even care about what they do? 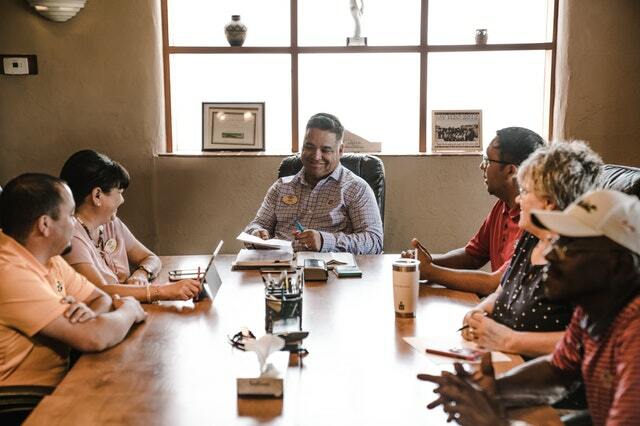 Interpersonal connectivity is important in the workplace and goes a long way toward making employees feel valued by the company. How many of your company’s managers, VPs and people in the C-suite know what their people do day to day? Do they have an idea of how the actual or virtual machinery works for the average worker on the line? If they don’t know, they ought to. The more distant a manager is from the front lines, the more of a disconnect their employees will feel from them and from their overall purpose in the organization. If the company you work for has an open-door policy, encourage your employees to work within the system. Let them know you value their valid complaints, honest criticism, and ideas for improvement. Make them feel heard, and make a plan to incorporate some of the better ideas. When employees feel like they have some input at the company where they spend 40-plus hours of their lives every week, it makes a difference in their attitude. If you’re committed to improving employee engagement in your company, a good place to start is by offering encouragement. Everyone likes to hear that they’re doing a good job. When was the last time you told an employee you were impressed with their project or presentation? When your company or team is going through changes, do you keep your employees in the loop? When organizations don’t disseminate important information, rumor has a way of rearing its ugly head, and it’s a notorious productivity killer. It’s not always better to give than receive, especially when it’s honest feedback. As a manager, you need to be open to feedback not only from your boss, but from your peers and your employees as well. In an environment where frequent feedback is the norm, engagement thrives. Another way to create and maintain employee engagement is for the company to offer opportunities for professional development. Whether it’s cross-training with another department, training courses or certifications, these opportunities show employees that the company cares about their advancement and values knowledge building. If your company is one that doesn’t put much stock in the idea that employee engagement is important, share this nugget of wisdom from the Gallup Poll: “Compared with business units in the bottom quartile, those in the top quartile of engagement realize substantially better customer engagement, higher productivity, better retention, fewer accidents, and 21% higher profitability.” You just might change their minds.